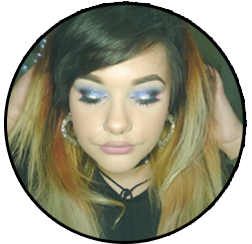 Nails Inc Kensington Caviar Top and Basecoat Review! After a bad experience overall with Nails Inc, ever since that point I’ve not bought anything from the brand, however before I used to purchase a few products here and there. About 3 Months ago I decided to give the Kensington Caviar duo set a go, as in training they said it was a hero product (one that everyone should have and suits any skintone) boasted about it’s omega 3 properties from the caviar and fast drying time. Kensington caviar base coat helps to nourish nails whilst helping to prevent staining, smooth the surface and prolong the duration of your manicure. Kensington caviar top coat provides a wet look professional finish that is touch dry in only 45 seconds. Brush photograph. In training they stated its the perfect shape to sweep across nails in 3 strokes. I was very surprised at how fast my nails dried using this duo. Without the Basecoat I found that the nails didn’t dry as fast but with the basecoat it certainly dried in it’s claimed 45 seconds. 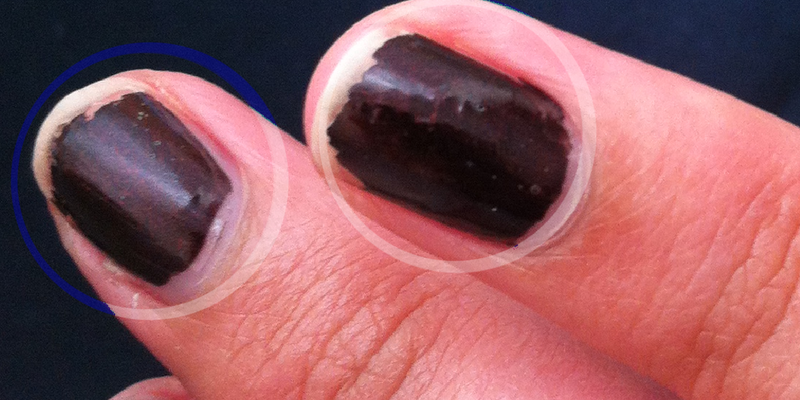 Although this is only touch dry, if you clipped your nail or pressed on it the nail varnish would move. I found I would need less coats using my polish with using the basecoat and the topcoat made my nails sparkle and smooth to touch once dried. I however didn’t find my nail polish lasting longer using this duo, which to me is a little disappointing due to its steep price. But due to the fast drying time, it outweighs this slightly. Now I am just hitting half way on my bottle and I have noticed that when I apply the topcoat, it dries with bubbles in the actual nail varnish and not as smooth as when I first bought the bottle which is very irritating, again reflecting on the price I do not expect this from a high quality nail varnish. I do not shake the bottle so I’m assuming it’s reacting with the air? With lower end topcoats I notice the shine wares off within a few days but the shine stays until you take the nail varnish off. 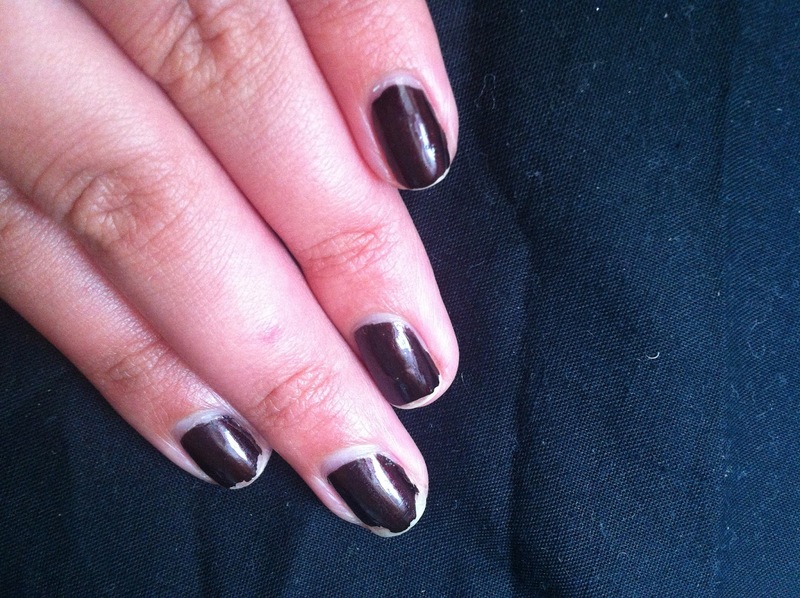 This nail polish has been on my nails for just a little under a week. It is worth getting if you’re ever in a rush to do your nails. I usually do mine before bedtime and now I no longer get imprints of my hair on my nails! I do not feel my nails have strengthened using this treatment, the Omega 3 claims done by the trainer seem to have not worked on my nails! I was told they would strengthen and appear healthier but mine are still dry and flakey. Would I repurchase? Yes! Just for the simple fact the shine stays and it dries rapidly. I would however purchase the smaller pack from Boots for £12, as the bottle seems to have gotten bubbly half way down. Disclaimer: I have bought this product myself and have given an honest review. 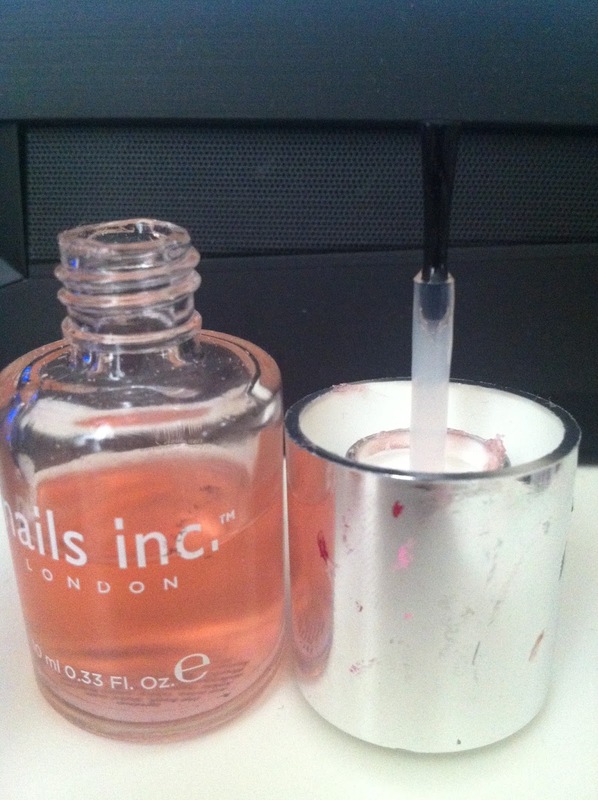 Posted on November 8, 2013 November 8, 2013 by sindyydollPosted in Nails, Nails INCTagged bblogger, Beauty, Boots, Boots UK, Caviar, kensington caviar basecoat review, kensington caviar top coat review, Nail Art, nail polish, nail varnish, nail varnish review, nailpolish, nails, Nails inc, Review, Shopping, top coat. Previous Previous post: Too Faced Beauty Balm review! Next Next post: Pixi Beauty Wakeup Wisteria Review!